2 Political Junkies: The Trib Braintrust, You're Still Alive, My Old Friends! The Trib Braintrust, You're Still Alive, My Old Friends! Yep, they're still around and they're still not doing their homework. PennLive reports one Mummers group in Philly's New Year's Day parade staged a skit protesting that city's soda tax, while another Mummers group's skit advocating free, universal health care targeted U.S. Sen. Pat Toomey as “Senator Toomer.” No word yet on whether Eagles fans who swore off NFL games over protesting players “taking a knee” have sworn off Mummers for politicizing the parade. Just from reading the text, you could safely assume that the politicization of the Mummers Parade is both 1) new and 2) limited to that one group. If you assumed that you'd be wrong. The Philadelphia Mummers Parade isn't afraid to get political. 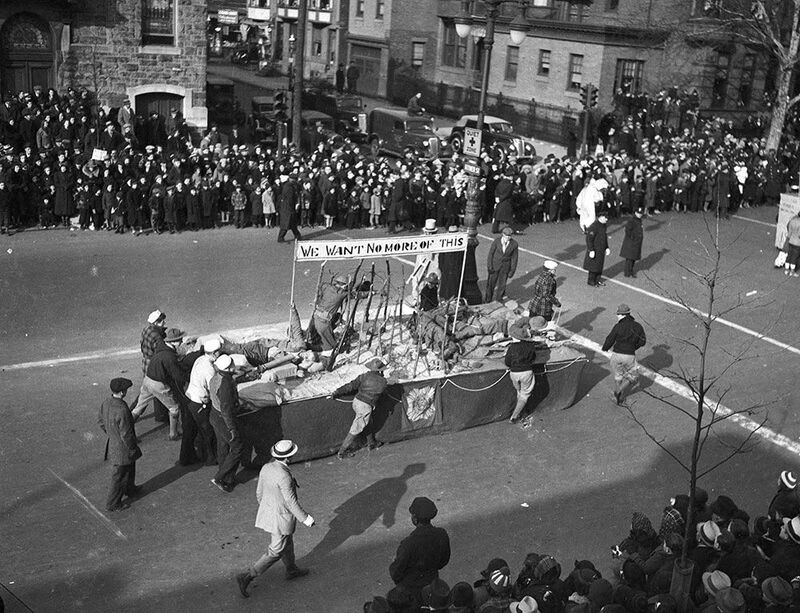 Commentary on government has been a common feature during the skits put on by the Mummers' Comics Brigades. The Vaudevillains New Years Brigade, part of the Murray Comics, criticized Senator Pat Toomey and called for universal healthcare in its skit "Party Artery." The Braintrust seems offended that the Republican Senator from Pennsylvania is the target of some social satire (aw snowflakes, are your feelings hurt when they made fun of Senator Toomey?). Even when The Trib published an AP story on the event. See what it is? 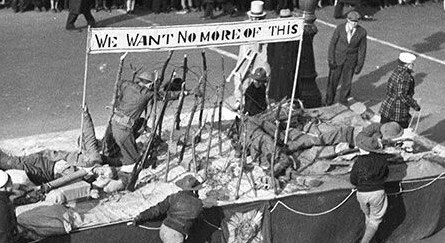 It's a float protesting in 1938 the possible US involvement in an upcoming European War. Can't get any more political than that. And that was 80 years ago. 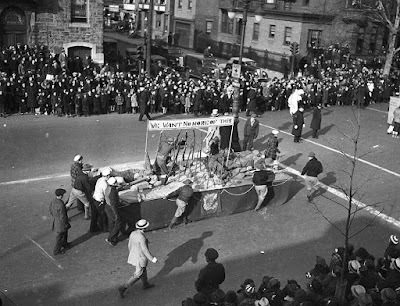 But somehow, to my good friends on the Trib Braintrust, the politicization of the Mummers Parade started this year with a protest against Senator Pat Toomey. It didn't and the braintrust STILL needs to do its homework better.